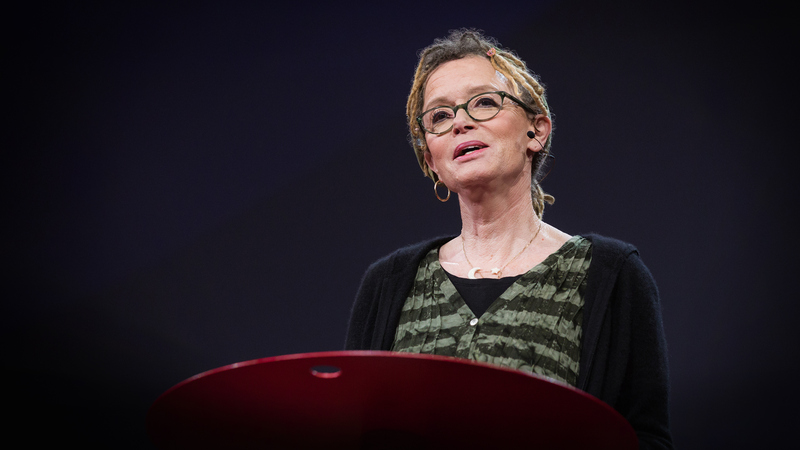 Two years ago, Anne Lamott did a TED Talk called 12 Things I Know for Sure. Because people seem to be very anxious these days, here are a few things I know for sure. I hope it helps. Loving mean people is really hard, but it makes you feel better in the long run. Hateful human beings don’t know what it feels like to be loved. We get to show them if we can possibly do it. And maybe if I can’t do it today, you can. And I can try again tomorrow. Sometimes we get to be those helpers. And it will change our lives for good. We cannot fix people. We can love them. We can listen to them. But we cannot make them stop drinking, quit drugs, exercise, clean the house, lose weight, or stop being selfish. They (with the help of their Maker) need to do it. We can cheer them on and that helps a little bit. Each of us needs a friend who will say, “Everything’s going to be okay” at just the right time. Have a great Monday. 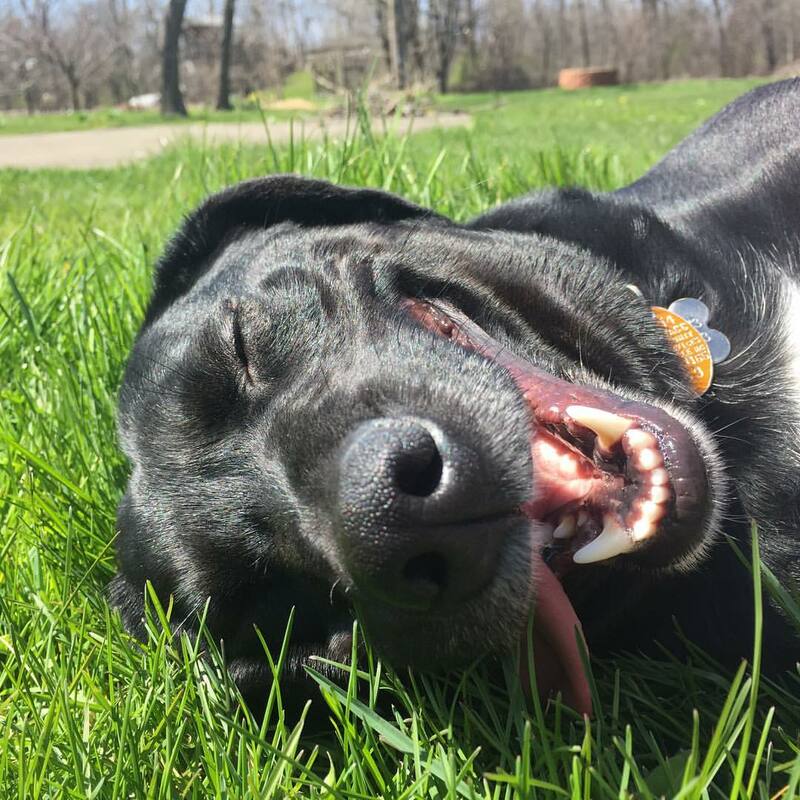 Smile at a dog. Be authentically kind to a cranky person. Notice something beautiful. Resurrection is coming. Images of Anne Lamott speaking at the TED national gathering on April 28, 2017, Vancouver, BC, Canada and Spense – the best dog ever. I have opinions and most of them are strong. I also like it when you have opinions even if they are different from mine. Critical thinking is our friend and respectful grappling back and forth is good. I haven’t cornered the market on truth and neither have you. I love Chick-Fil-A sandwiches and I love my LGBTQA+ siblings. I had read that Chick-Fil-A had changed their policies against LGBTQA+ neighbors and yet I saw an article yesterday that said Chick-Fil-A donated $180,000 to organizations that discriminate against LGBTQA+ folks in 2017. This means no more Chick-Fil-A for me – at least for now. It’s a disappointment and I don’t kid myself into thinking that my boycotting any organization for whatever reason will alter their profit margins much. It’s more of a spiritual decision for me. I re-read the article from Fox Reno and decided that it actually wasn’t very good. It triggered me and I posted it and I’m grateful to a friend for pushing back. But the reason I deleted it is because some of the subsequent comments felt too sharp. I wish we could grapple respectfully without name-calling and snarkitude. I wish we could disagree without demonizing each other. Even – and especially – when we make our political and social stands based on our interpretation of Scripture, feelings run deep. When we equate our opinions with what we believe God is calling us to be and do, the stakes are high. And yet there is no need to convey hate when we disagree – even about something as essential to me as supporting people who identify as LGBTQA+. 48.8 million voters out of the 136.7 million who cast ballots in 2016 believe that members of opposition party are in league with the devil. In. League. With. The. Devil. If we can’t wrestle together without hatred, we will become poorer citizens and more shallow human beings. But there is a lot of hate out there. We can do better. We “report” to countless offices: the principal’s office, the boss’ office, etc. Where we “rapport” is different. Rapport isn’t even a verb, although we make “adult” a verb, so why not? We certainly spend a lot of time building rapport with people – sharing interests, creating bonds, generating harmony. Rapporting is active work. I will not be rapporting to jury duty in Illinois because I no longer live there. But I’ve been rapporting quite a bit over the past two weeks. Lent is a good time to process where we have worked hard to (build) rapport. Are we trying to please people we don’t need to please? Are we making even nominal efforts to please God? Are we spending our time in life-giving pursuits? Where are we rapporting these days? Have a happy Thursday. Image of a lovely spot where I recently rapported. This article in Quartz is excellent (thank you Marci Glass) and it’s related to my Thank You, Protective Factors post last weekend. I believe that one of the reasons why institutional church congregations are failing is because people increasingly find holy communities in places other than church buildings. And some don’t find community anywhere – including church buildings. Is there a person in your congregation (who is not also in your legal family) who knows about the worst thing you’ve ever done and that person still loves you? Who is that person? Are there people in your congregation (who are not also in your legal family) whom you can call in an emergency in the middle of the night and they will come right over? Who are those people? Have your ever shared a personal prayer request for yourself (not prayers for your Uncle Frank or for your boss or for your neighbor but for you) and someone has stopped then and there to actually pray with you? Who was that? Has anyone asked you to pray for them and you did it right then and there? When was that? Have you ever dropped everything to go to someone who needed you in your congregation? When was that? We can actually measure the depth of our congregational community based on the answers to these questions. How would your congregation fare if you measured community using questions like these? Image is a stock photo of dinner church. 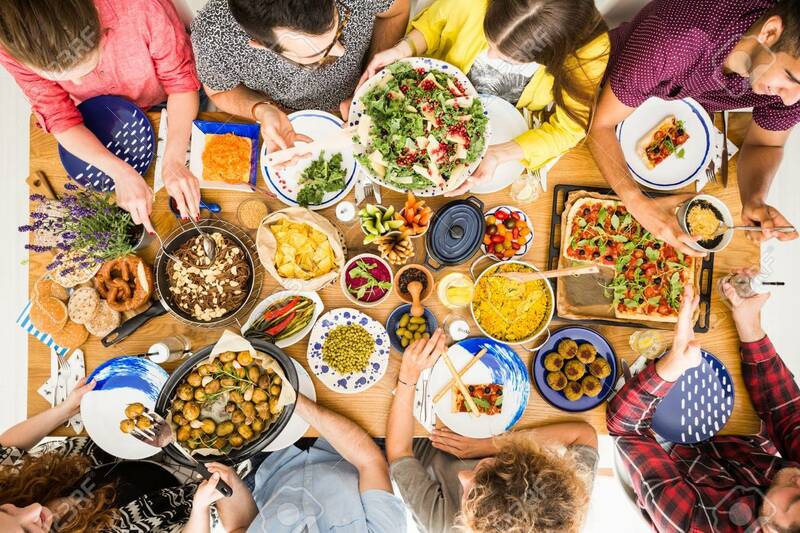 A great way to form community is – of course – with food. Bunny Mellon was lovely from what I understand. She was a horticulturist known in many circles because of Listerine Mouthwash, Gillette Razors, the White House Rose Garden, and horses. As a young woman, her family lived in a former plantation home. I got to sleep in her bedroom once – in the same room where she gave birth to her oldest child. There was a painting by Winston Churchill on the wall. The fact that all of this is true speaks to the stark fact that I am a person of enormous privilege. 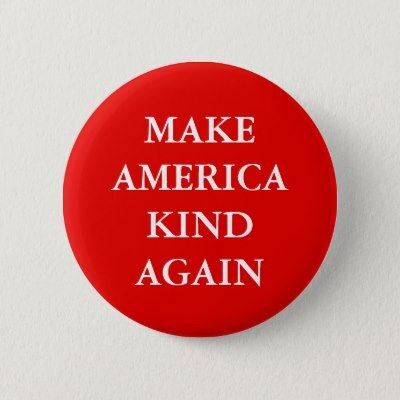 I did not grow up with wealth or fame or parents who were known for anything other than being kind and loving. My father told me that the day they found out that they were expecting me, they literally had five cents to their names. I didn’t grow up with original paintings on the wall, much less paintings by British prime ministers. I certainly didn’t grow up with a boxwood maze in the back yard or panoramic porch views. And yet it’s also true that I wasn’t followed around while shopping by clerks concerned that I might steal something. I could easily hail a cab. I could eat in any restaurant in town. People assumed I belonged everywhere I went – from swimming pools to fancy dress shops to ivy-covered universities. I was judged to be acceptable and safe because of the melanin levels in my epidermis. Those of us who do not believe that having white skin = privilege need to talk with our brown and black neighbors who deal with implicit racial bias every day. When I’m with a friend with dark skin, it’s often assumed that we couldn’t possibly be together. I’ve been with black and brown friends who have been questioned about being in certain spaces while I’m welcomed warmly. 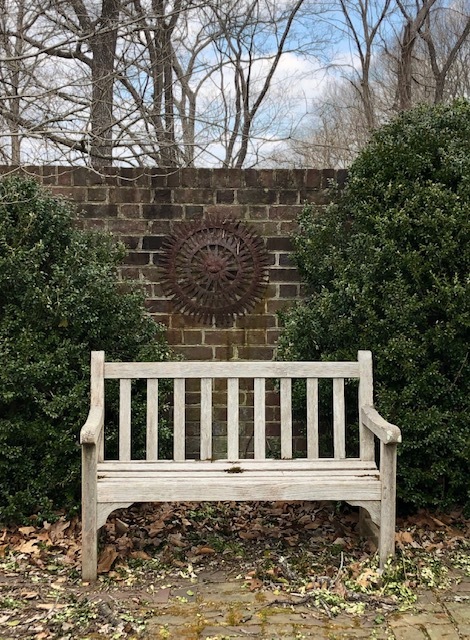 I was not even questioned about living – for a brief time – like Bunny Mellon in a former plantation home. We don’t have to be like Bunny Mellon – or in Bunny Mellon’s home – to experience great privilege. Our privilege happens every day if we have her same skin tone. 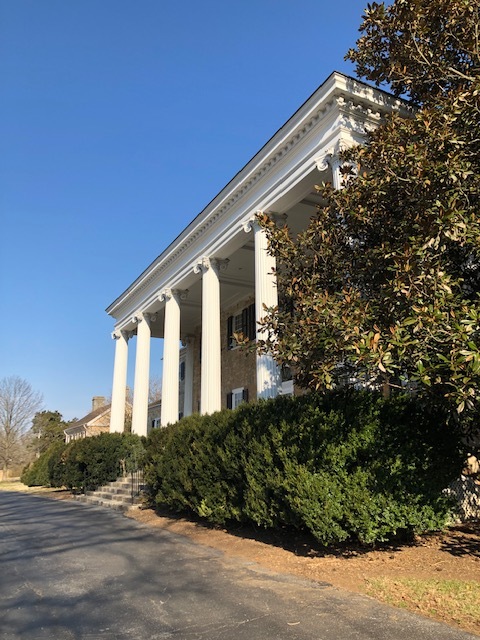 Image of Carter Hall house and grounds, Millwood, VA. I wrote last fall about pivot points. 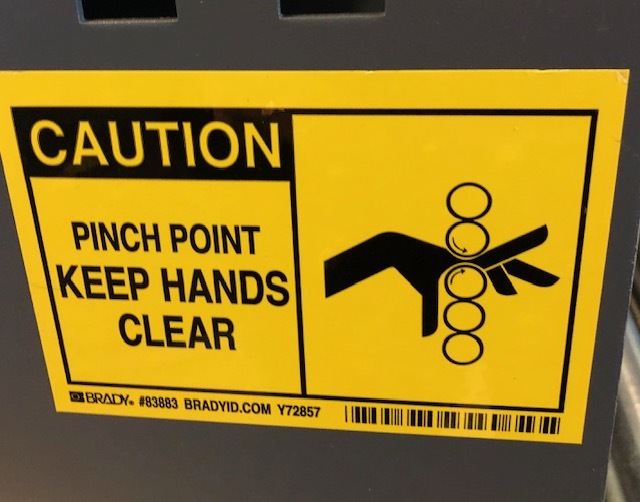 Pinch points are different. They hurt, sometimes just a tiny bit and sometimes like crazy. Ouch happens in a growing community. If we are serious about becoming congregations that resemble the reign of God, there will be discomfort and we Christians usually prefer comfort. We like the comfort food of recognizable music and liturgy. We like the comfort food of longtime friends and familiar faces. If the people look, sound, pray, dress like we do, it’s just easier. Many of us are in church for ourselves. Yes, church is about service in Jesus’ name, but between the worship and education of us inside and service to those on the outside, one is usually dominant. And too many times, what’s dominant is not service to those on the outside. I’ve been in enough church meetings to know that we church people care a lot about our personal comfort. And so when we feel a pinch because new people are taking leadership positions, or someone threw away the tablecloth I donated, or the new pastor sings the benediction, or that gay couple wants to get married in the sanctuary, or the new church letterhead is orange and I don’t like orange – it hurts. Sometimes it pinches a tiny bit and sometimes it pinches like crazy. Imagine the pinch when we decide it’s time to talk about our white privilege. Image from the Seattle-Tacoma Airport last Friday. 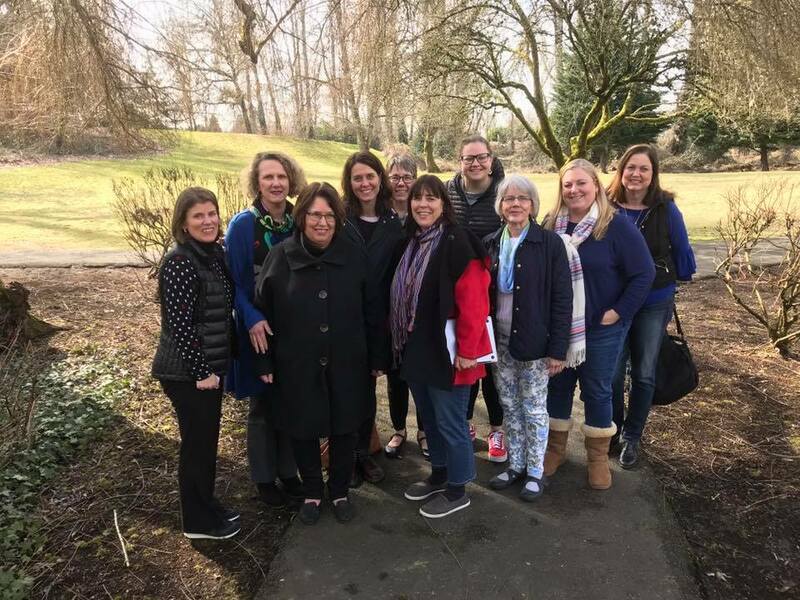 Along the same lines there are “protective factors” that can make things better – like “a strong network of friends and a willingness to engage with therapy.” Thanks be to God. I’m home for exactly one day after the NEXT Church National Gathering followed by my clergywomen’s preaching group before heading out again for another work gathering of people who love the Church. I am profoundly and unspeakably blessed. I just celebrated a birthday which made me feel deeply loved. Many people do not have this. To have a church, we need to be the church. Love God’s people. Show up. Tell them – in love – when they need to cut back/make a change/stand up/ stop being a jerk. We can actually develop Protective Factors which will be very helpful in dealing with day to day mental health issues. We can also be those Protective Factors. Image of The Preaching Roundtable, established 1999. I’m having Girl Scout flashbacks in Seattle this week in that I’m semi-obsessed with Seattle’s lichen population near the University of Washington. 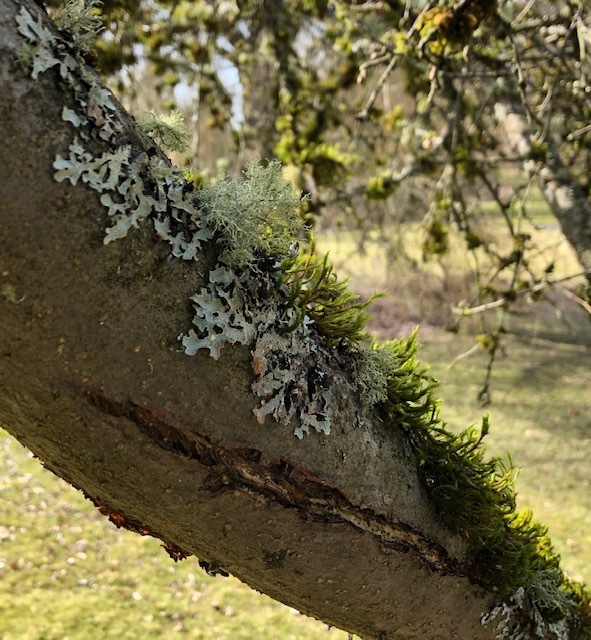 Last week’s Science Friday featured Troy McMullin, a lichenologist at the Canadian Museum of Nature who describes lichen as “a fungus that’s learned to farm.” In other words, these fabulous fungi are able to adapt to changes in moisture and temperature. They are capable of making “mechanical changes” that allow more access to light and therefore new growth to develop. Lichen can be found in all shapes and sizes, in a variety of colors. And in the healthiest of forests, the diversity of lichen is vast. If you want to understand the health of a forest, don’t look up at the height of the tree. Look down at the lichen. In Church we look up to the heavens for relief and hope. But – looking around at our healthiest churches – we find God working especially in adaptive and diverse congregations. The healthiest congregations have learned how to farm: how to grow nourishing resources, how to use water and light to promote abundant life, how to welcome diversity for the sake of the forest – I mean the Kingdom. God continues to create every day. How are we welcoming beautiful adaptive change in our congregations? 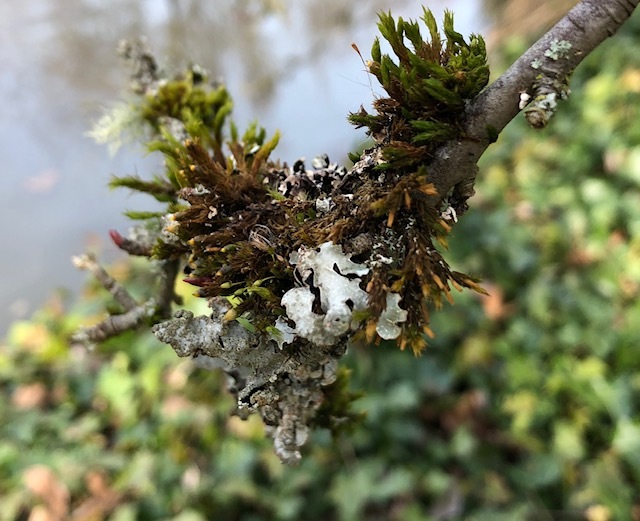 Images of lichen on the grounds of the Talaris Conference Center in Seattle yesterday. The Church of Jesus Christ has failed miserably in terms of dismantling racism. We have looked the other way when sexual abuse has occurred – even within the walls of church buildings. We are responsible for crushing the spirits of God’s children who are queer. And there are several other things. Lent is the season when we confess and hope for grace. But when our very systems are broken, it’s clearly not enough to say, “I’m sorry” and expect everybody to move on. We need to sit in lamentation. I often say that we Presbyterians like to see ourselves as the smart ones. We gather for book studies and intellectual conversation. We invite speakers to edify us on important topics. And then we go home smarter. But nothing changes. Our studies and conversations have no visible impact. The same is true for confession. We Reformed Christians emphasize grace and we regularly make our prayers of confession followed by a swift assurance of God’s grace. But considering the level of destruction our national sins have created, maybe we need to sit in our lament for a while. The more we study our nation’s history, the clearer it becomes that – while being a great nation – we have committed horrible deeds. Native land was stolen. Human beings were enslaved. Families were separated and they continue to be separated. Cultures were erased. The poor endured different rules from the rich. To say, “I’m so sorry” is just the beginning. The NEXT Church National Gathering in Seattle this week was one opportunity to consider lament as a spiritual practice. We who are the dominant culture cannot move forward without understanding the depth of our often cruel dominance. This is not a happy, shiny post. But if we cannot grapple with hard truths during Lent, I don’t know when we can grapple with them. How do we practice lament? Read authors whose life experiences are different from our own. Read Tommy Orange and Jennifer Harvey and Robin Diangelo. As one of the keynoters said today: we who are white must intentionally put ourselves in uncomfortable non-white spaces. Taste what it’s like to be in an unfamiliar culture. I believe God is calling us to notice the sins of our history and to confess them. And while I believe that God is abundantly gracious, I also know that God expects us to feel it. We need to be willing to feel the discomfort and the pain. This is what Jesus did. 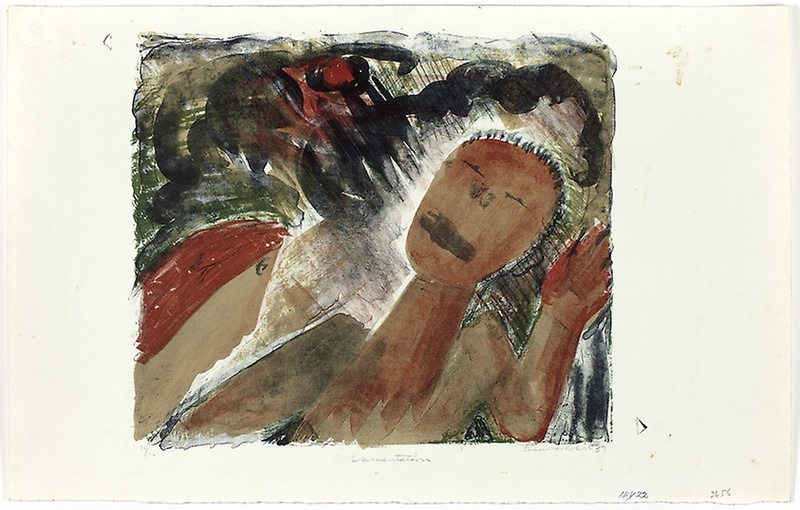 Image of Lamentation by Eleanor Coen (1939) in the Art Institute of Chicago. Our friend Robina Winbush died suddenly yesterday and it feels like a kick in the gut. Robina was our denomination’s global connector, knowing the world’s ecumenical leaders, keeping the PCUSA engaged with the World Council of Churches, and having the cultural expertise of a diplomat. 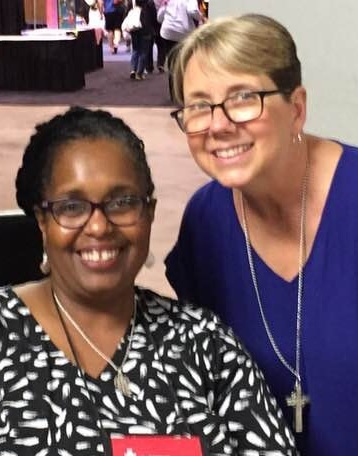 Because of Robina, I was our denomination’s representative at the World Council of Churches Consultation on the Ordination of Women Deacons in the Roman Catholic Church in 2017 in Italy. She was a treasure. She left this earth the day before my 63rd birthday. Every birthday is strange for me because 1) it’s a reminder that I’ve outlived both of my parents by several years, 2) I miss my parents more on my birthday than on either of their birthdays or death days, and 3) I always assumed I would die before now. And yet it was beautiful Robina who is now gone. In life and in death we belong to God. This truth gives me great hope. My family has a twisted sense of humor, especially about death. We play a game called Dead. Not Dead. The rules are simple: Someone calls out the name of a famous person and then we each guess if that person is dead or not dead. Sometimes celebrities pass away and I could have sworn they were already dead. Olivia de Havilland, Mel Brooks, and Herman Wouk are all still alive. I am still alive. You are still alive. Each day is an enormous blessing and yet we grieve in hope. I have hope for the global Church because of Robina Winbush. Image of me with Robina at General Assembly in June 2018.